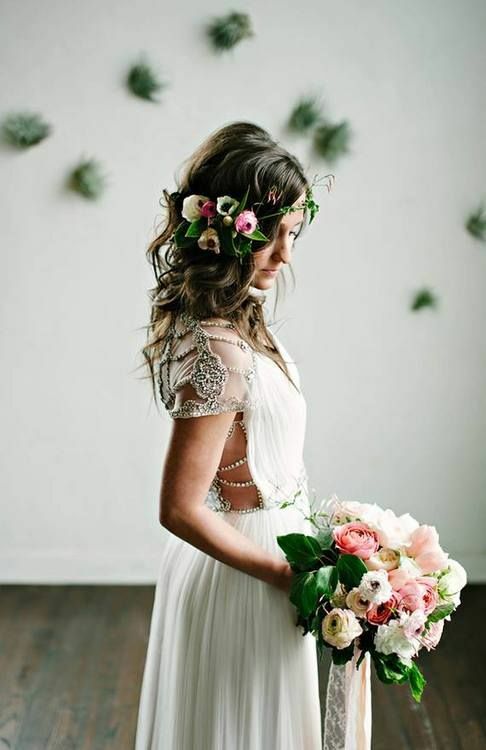 Boho chic style is very popular these days, especially for spring and summer weddings, and we’ve already told you of boho chic bridal looks to enjoy. 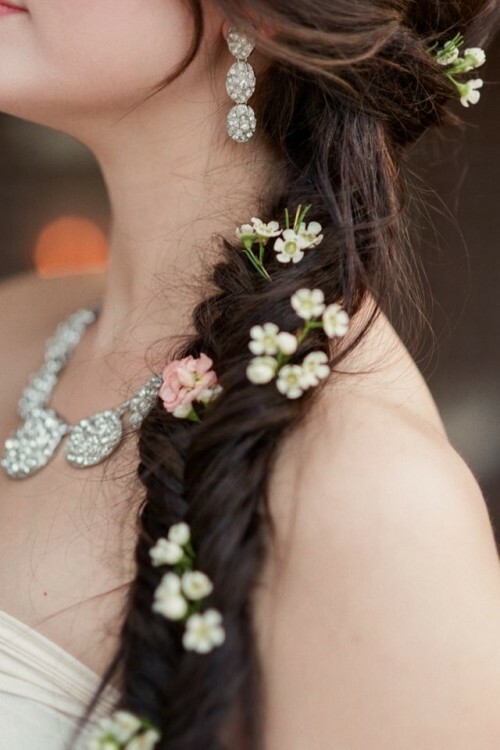 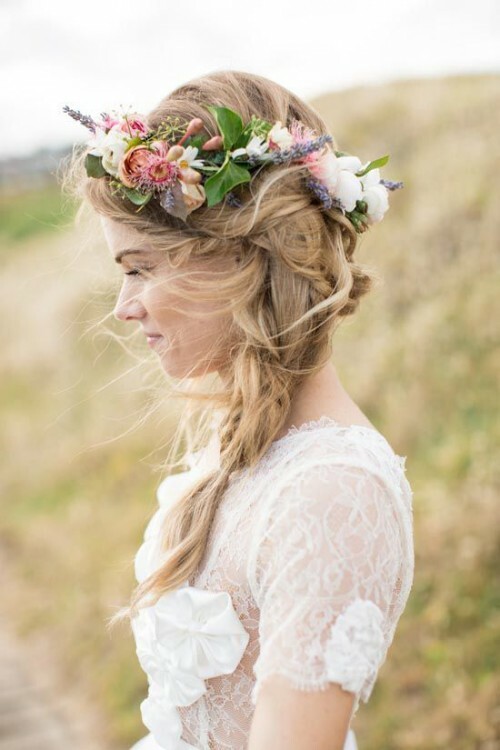 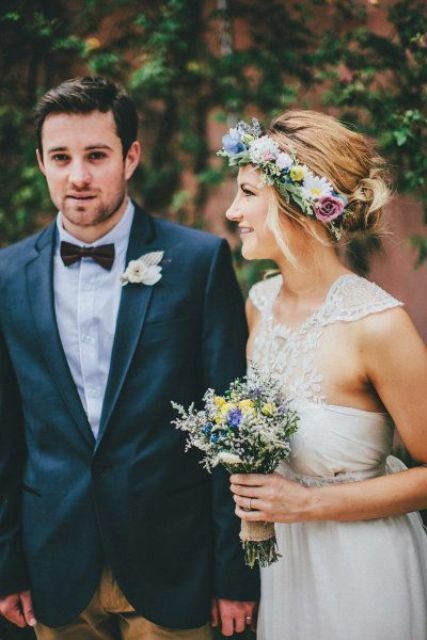 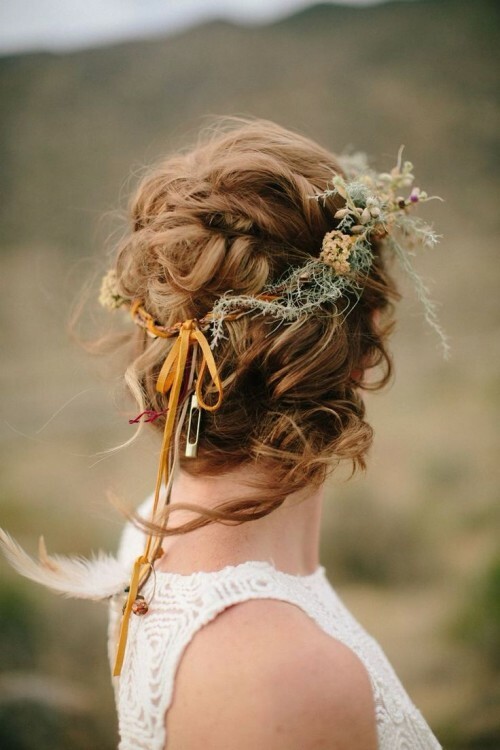 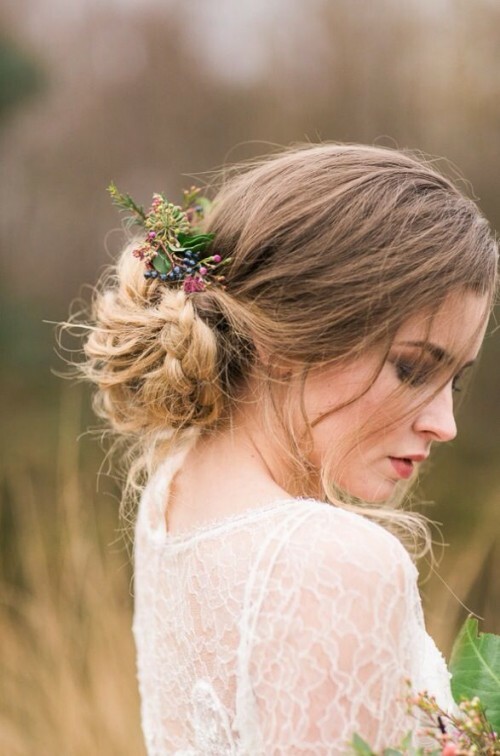 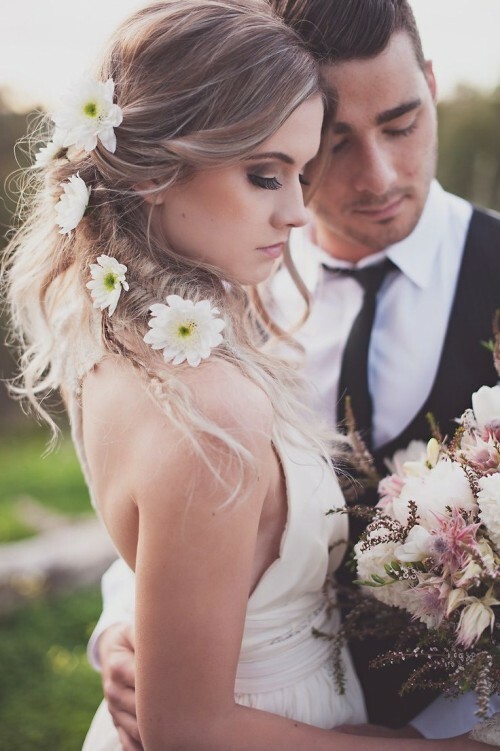 Now let’s have a look at hair ideas for the boho brides – there’s so much stunning in them! 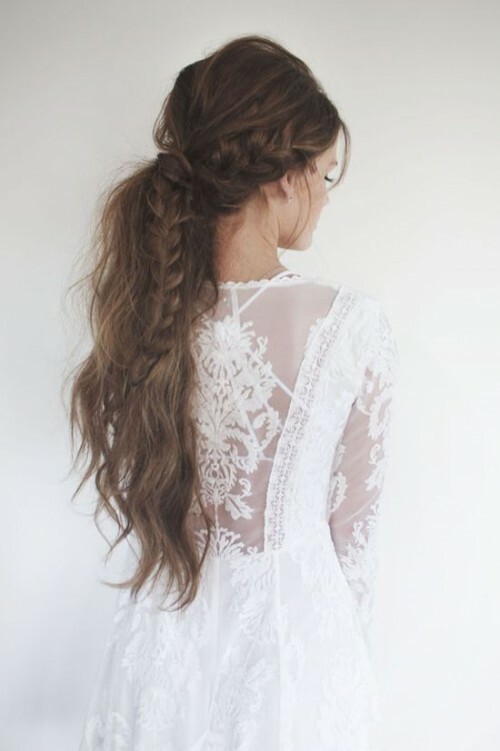 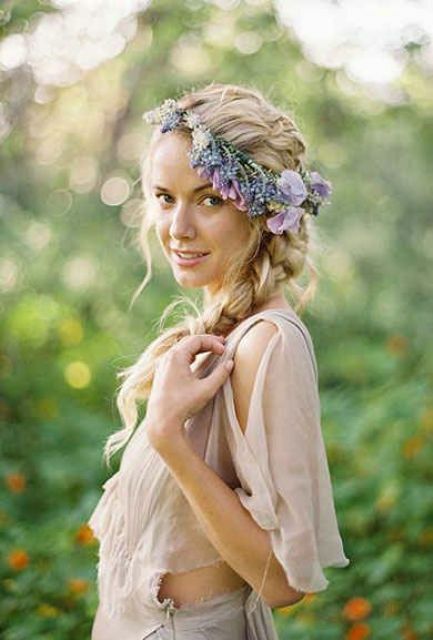 Light waves, messy and loose updos, cute braids – all these ideas are extremely popular for boho style. 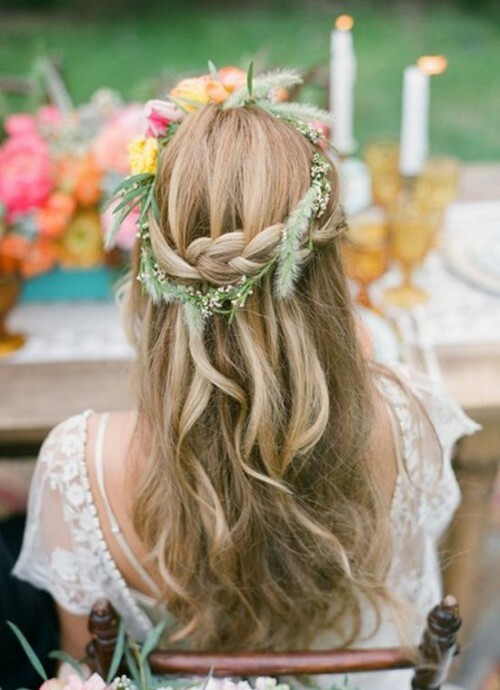 Don’t forget that an important part of any boho chic hairstyle is a headpiece because it helps to create an impression. 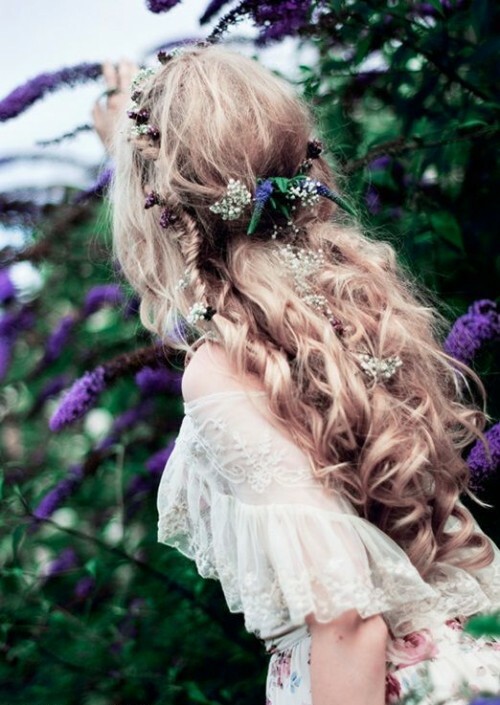 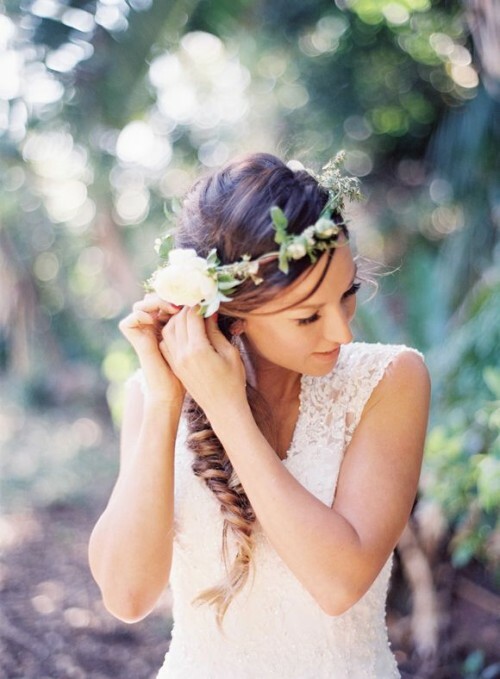 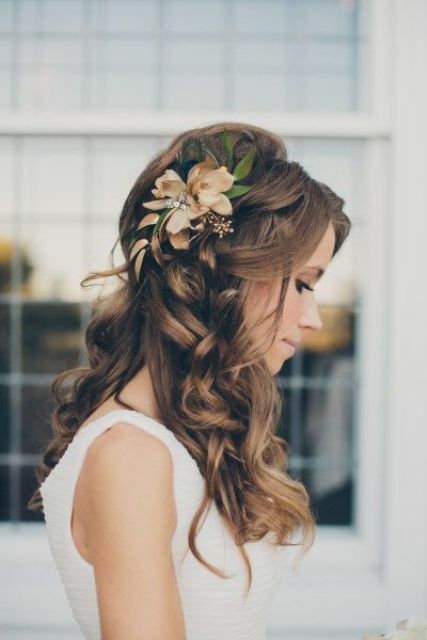 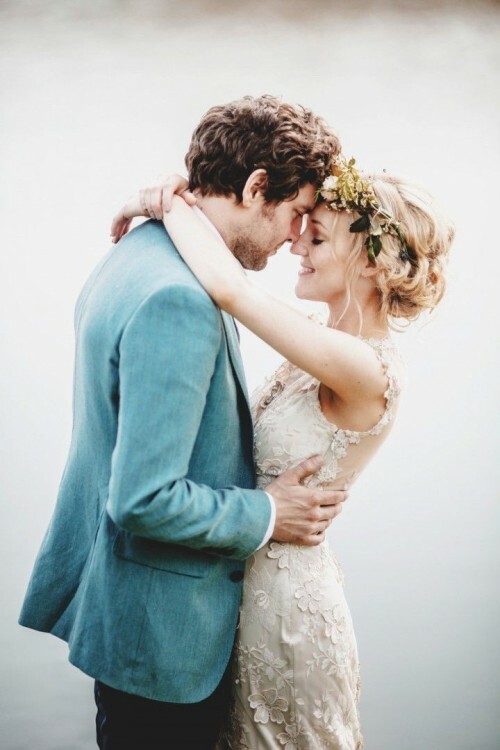 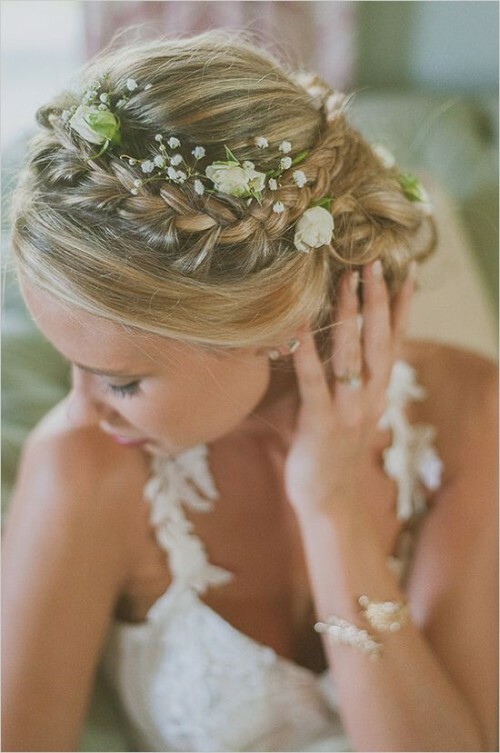 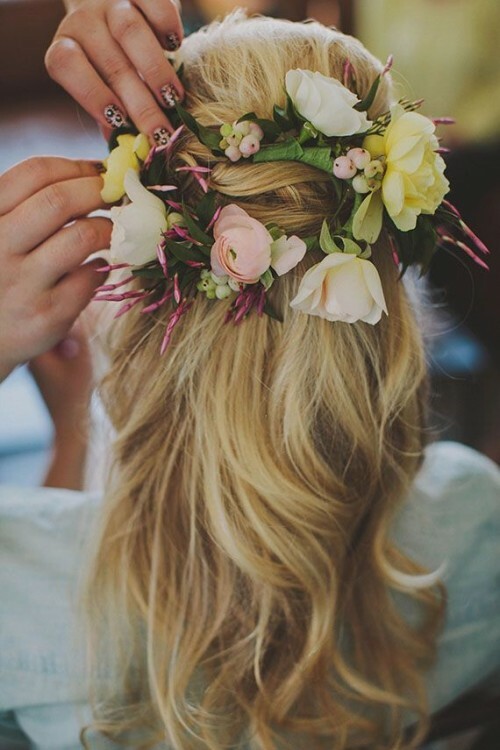 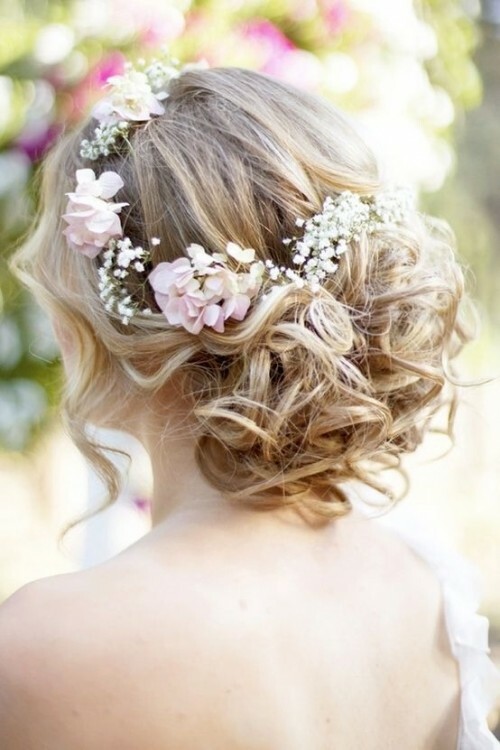 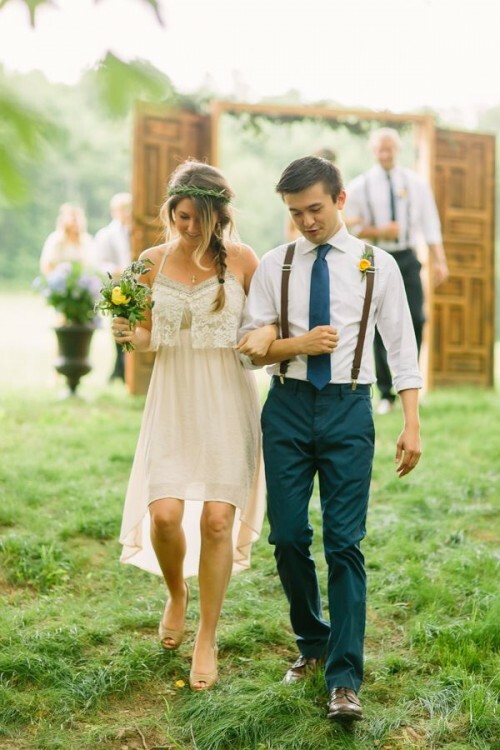 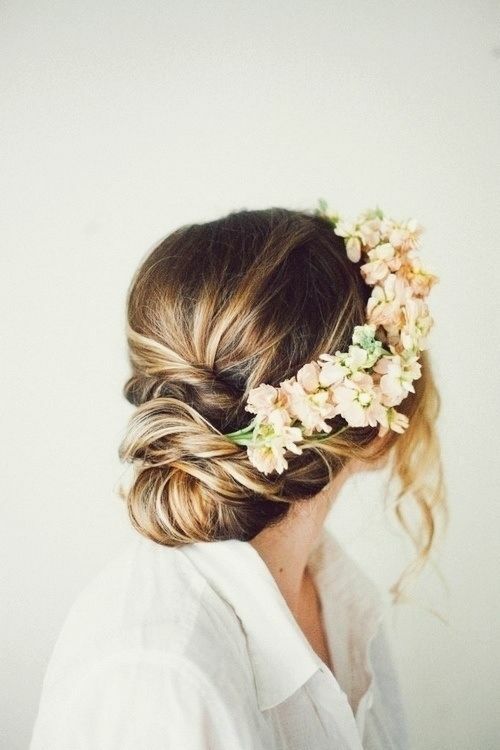 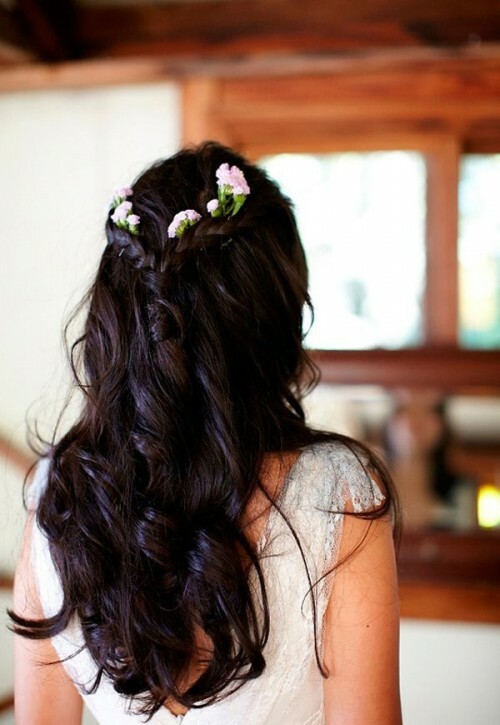 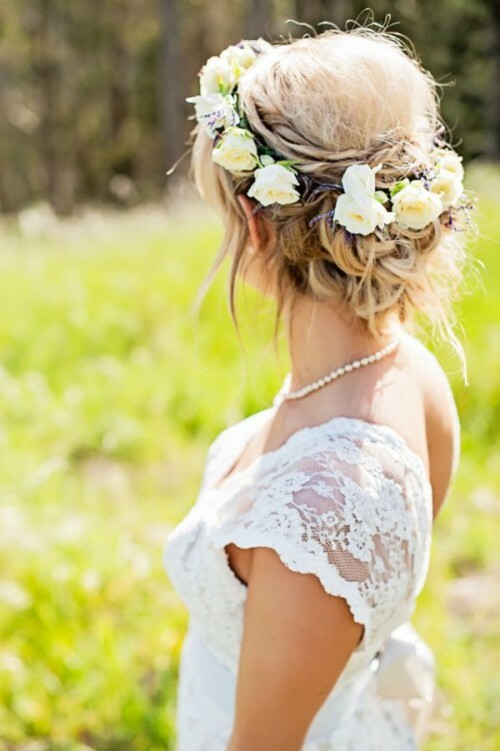 Wearing fresh hair or floral crowns is one more super popular idea for boho brides. 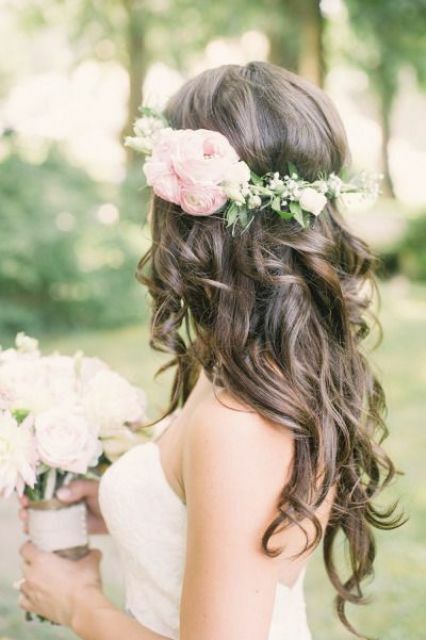 Look at the ideas below and find inspiration for your big day!